Head out and discover the excitement one of India’s fastest growing cities, from a hotel located at its very heart. Ahmedabad, frequently ranked one of India’s best cities to live in, is a place of constant change, and full of surprises. Hallmarks of modernity sit alongside reminders of the city’s long history, such as the many temples, and the scenic Sabarmati riverfront.The newly opened hotel has 155 rooms and suites with marble tubs, large windows, and modern décor. Enjoy a dip in the rooftop pool, sample fusion fare at Kuro- The Asian Bistro restaurant, or unwind at the Serene Spa. 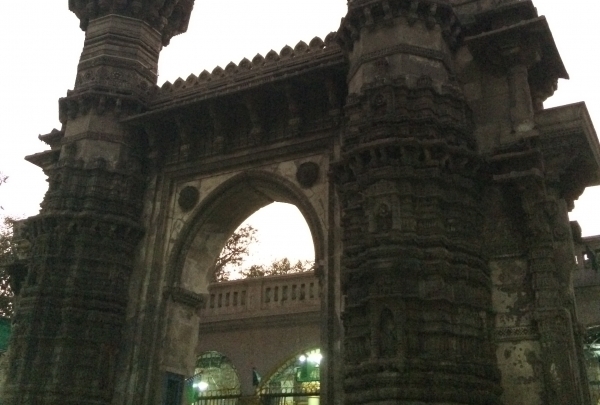 Home to a mosque and a tomb, this is one of the finest architectural ensembles of the city. Rani Sipri wife of Sultan Muhamad Begada initiated the development of this beautiful Mosque in the15th Century. The architecture of the mosque is Indo-Islamic, with jewel-like carvings that have earned the monument the title of 'Jewel of Mosques'. Tomb of Rani Sipri is located opposite the mosque. 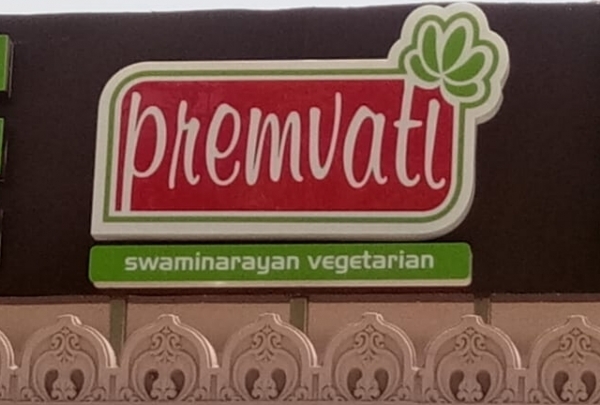 Premvati - Restaurant offers various varieties of fast food, South Indian, Chat, Cake, Pastry, Bakery items. It is well known for serving fresh food prepared upon receiving every order. Also, the level of hygiene maintained by the restaurant is high. Perfect place to enjoy indulgent dairy treats. 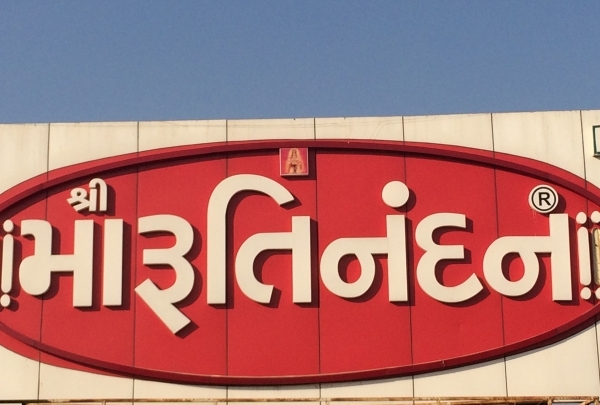 The state of Gujarat is the 3rd highest producer of milk in India and it's evident in the numerous dairy establishments you'll encounter here. 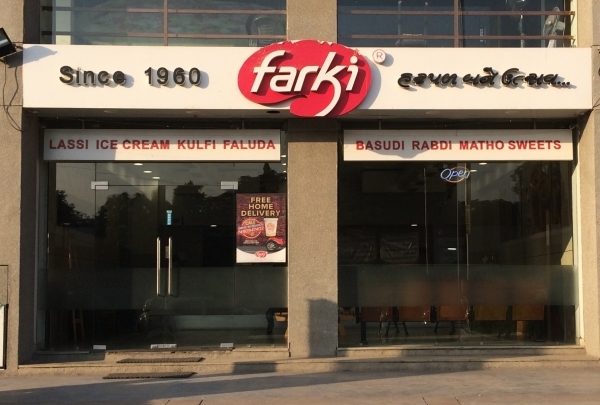 One of the more popular names, Farki offers a diverse selection of milk products from refreshing lassis and decadent faloodas to others like thandai, basundi and rabdi. It's the ideal place to satiate your sweet tooth. Pol is a housing cluster of association of people belonging to the same cast, profession or culture. Ratanpole is an association of professionals which consist of the more than 50 + stores offering traditional Indian dresses, Wedding outifits, Chaniya Choli & sarees. It is said this market offers vast variety of collection which can suit any budget. 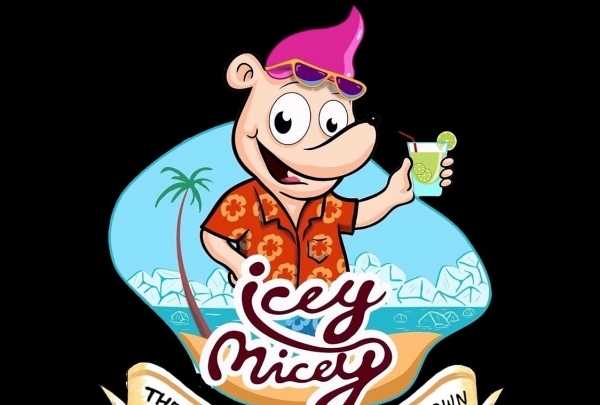 IIcey Micey - Beverage Truck offers various kinds of mocktails based out of fresh fruits which makes its concept very unique. They offer Fresh Fruit Beverage Shots. 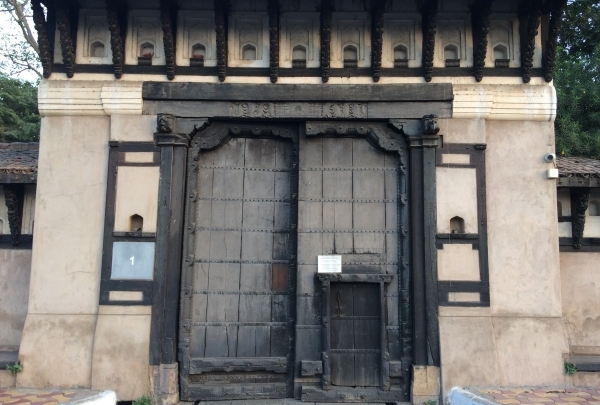 Astodiya Bhajiya House is named after one of the 14 Heritage Gates of Ahmedabad. 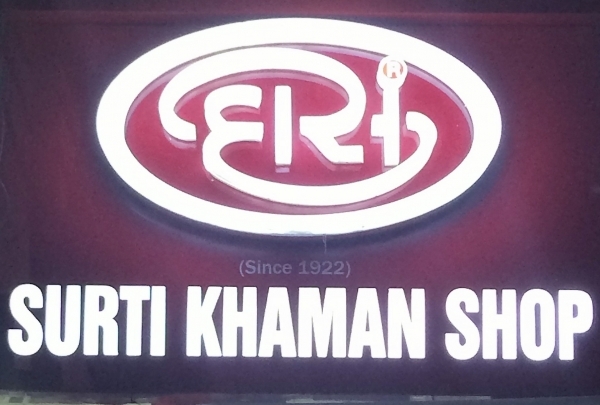 This eatery offers varieties of Bhajiyas such as potatoes, onions, fenugreek leaves and more. Additionally, this well-known snack joint also offers Khaman, a local favorite. The gallery displays a total of 290 + miniature paintings donated by Nandlal C. Mehta which consists of Jaina Paintings, Balgopal Stuti (Tales of Young Krishna), Rajasthani Paintings. 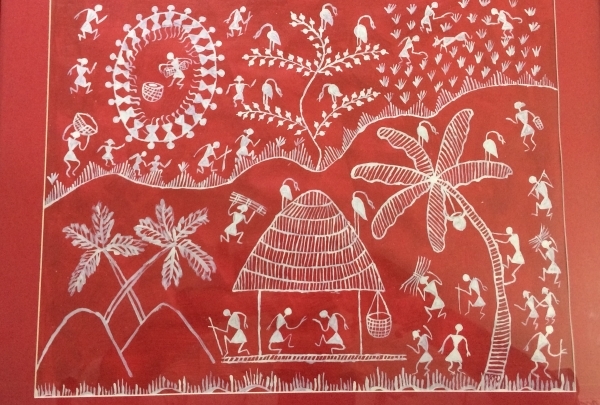 Though the gallery is small it represents the evolution of art form from various region of India adopting the local color, style, and characteristics. 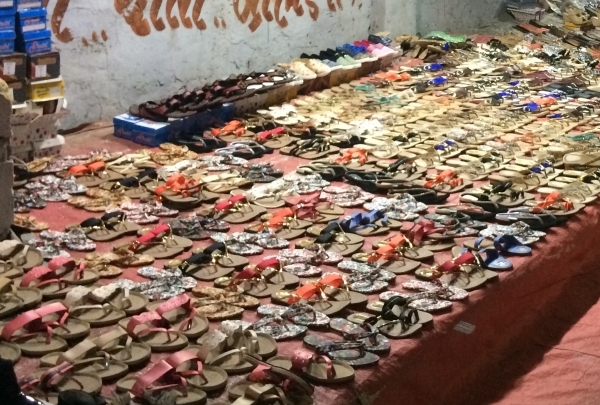 New Street side shoe market located at Navrangpura opens in the evening post sunset and offers various collection of men's and women's footwear. From shoes, sandals, boots, slippers to party wear collections its one stop destination. One stop destination offering various cuisine which consists a mixture of Italian, Mexican, South Indian, Chinese, Gujarati. It also offers various beverage Outlets which offers one of its kind independent experience. A must visit place having an impressive ambiance. The majestic complex composed of a graceful mosque, several tombs, a lake, and a garden. Initiated the development in 14th Century by the son of Ahmed Shah and completed its development by Muhamad Begada. Sarkhej Roza was developed in memory of Shaykh Ahmad Khattu. A Sufi saint known for his teachings and preaching, he was among the early Sufi saints who came to Gujarat. Energize with fresh fruit juices and healthy bites. 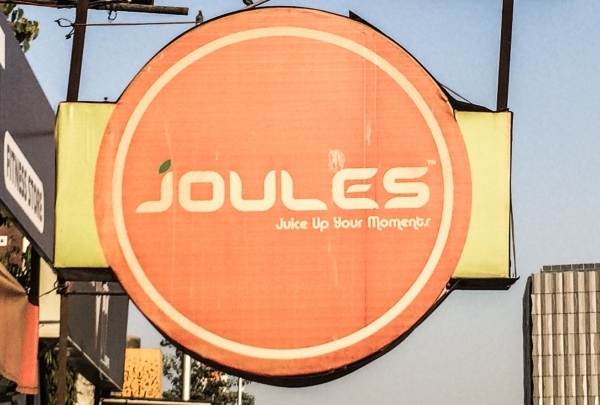 Established in 2010 by an engineer-turned-entrepreneur, Joules has all the right ingredients for healthy indulgence. The selection on offer is extensive, from power-packed health drinks and juices to rich smoothies and milkshakes. There choice of sandwiches and snacks as well to accompany your beverages. Residence of Mahatma Gandhi before he led the Dandi March in 1930. Mahatma Gandhi inhabited in this Ashram for 13 years with 450 inmates. Sabarmati Ashram was a training center to teach people about farming, spinning, weaving and number of cottage industries. 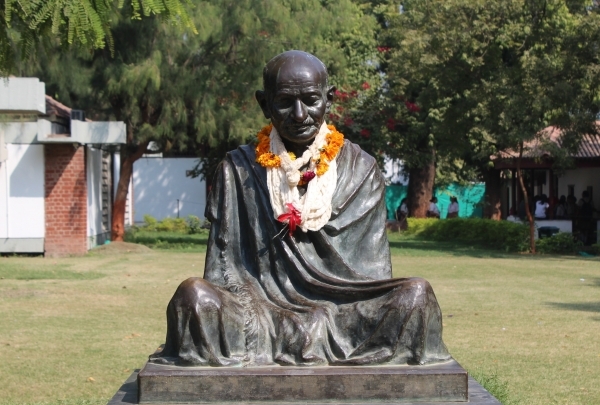 The memorial showcases three museums about the life of Mahatma Gandhi in Ahmedabad. Built at the end of 14th Century, this stepwell showcases architecture that reflects both Hindu and Islamic influences. 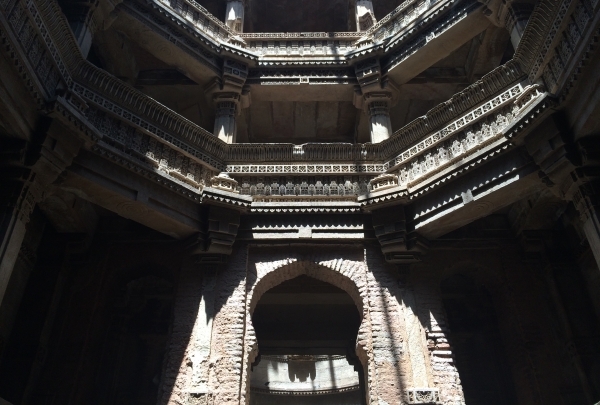 Built to provide respite for pilgrims and traders in the arid region, this five-story stepwell displays stunning architectural detail and has a tragic history. Its construction was Initiated by Rana Veer Singh, the local ruler, who died shortly after in battle with Sultan Muhamad Begada, who later completed its construction. 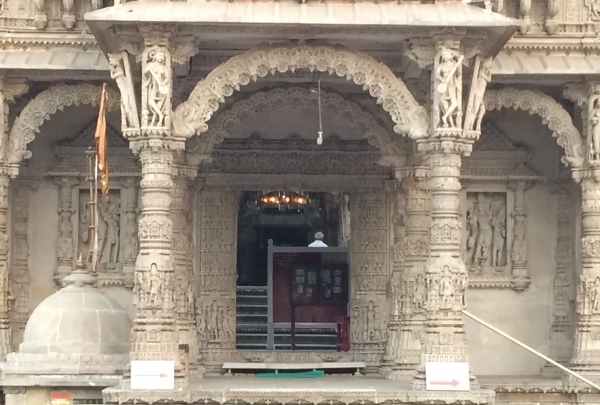 The resulting mix of building styles is unique to this stepwell. 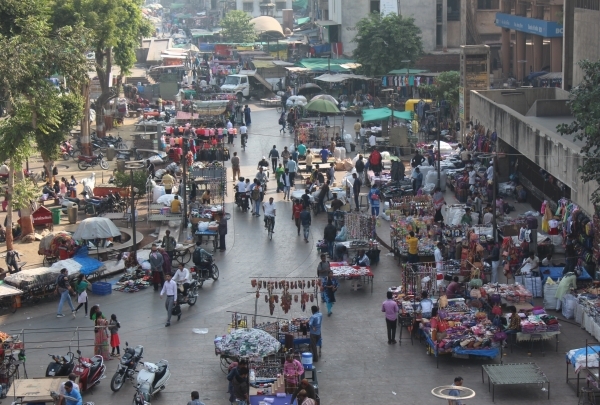 Experience the bustle at one of the oldest markets of the city. 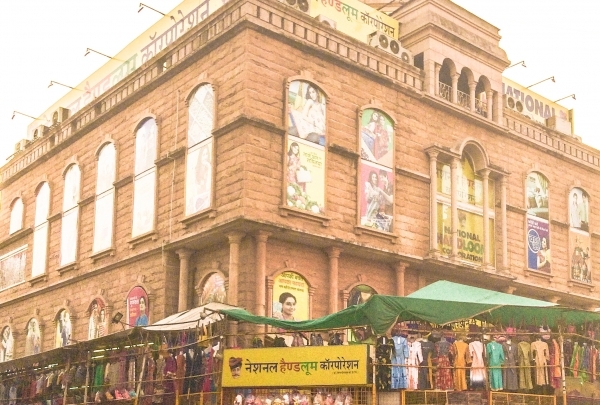 Teen Darwaza Market is one of the most famous markets for street shopping in Ahmedabad. It is named after the historic Teen Darwaza, a gate which welcomed Sultan Ahmed Shah into the city after his numerous victories. Admire the beauty of this sandstone edifice featuring Indo-Islamic architecture and stunning craftsmanship. 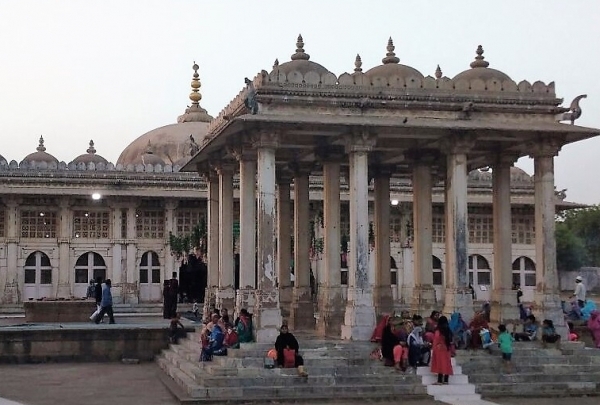 Built in 1573 by a nobleman named Sidi Saiyyed, this mosque's construction is believed to have taken more than two decades and features elaborately carved stone windows. 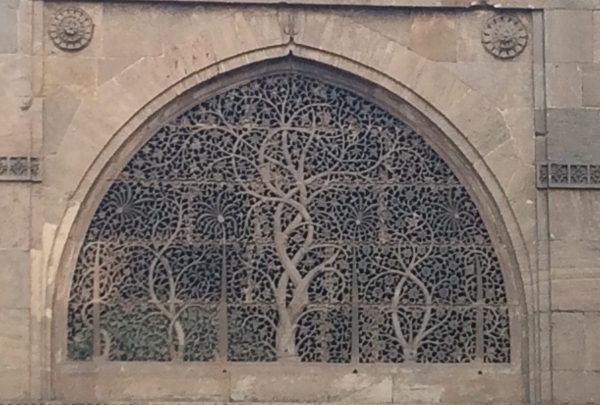 Highlight of the mosque is one of the windows, depicting an intricately carved palm tree and intertwining branches with astonishing detail. 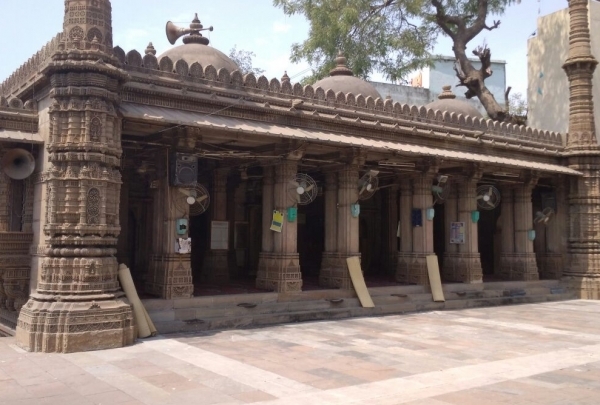 One of the last mosques to be built by the Gujarat Sultanate, it's a must-visit. Explore this vibrant night market of more than 100 small kiosks selling colorful wares. Believed to have existed for a couple of decades, this lively and kitschy market is fun to amble through and pick up trinkets. 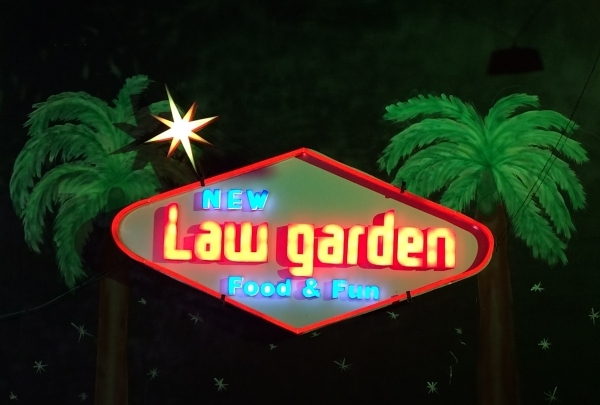 Law Garden is a favorite with the locals for some street shopping. 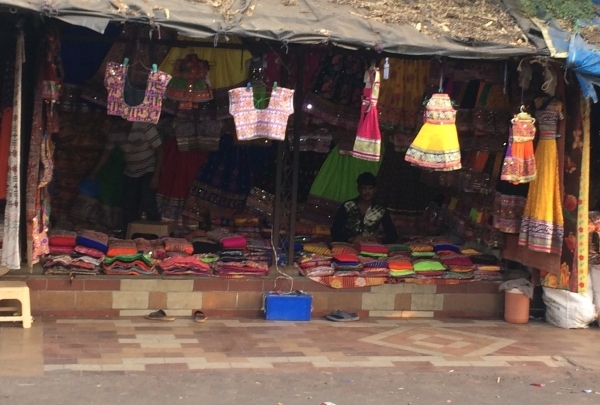 Ethnic and festive apparel dominate the offerings at the market, with the chaniya cholis, being especially popular. Reward yourself to delicious street food from the many stalls once done with shopping. 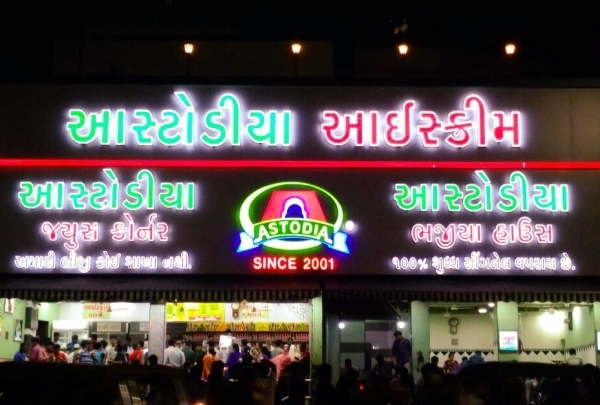 Gorge on savory delights as this popular shop offering authentic Gujarati snacks since 1922. Das Khaman House offers numerous varieties of popular local snacks which include Patra, Sev Khamni, Farali Bafwada and Chinese samosa. The more than 10 varieties of Khaman on offer is their unique specialty. 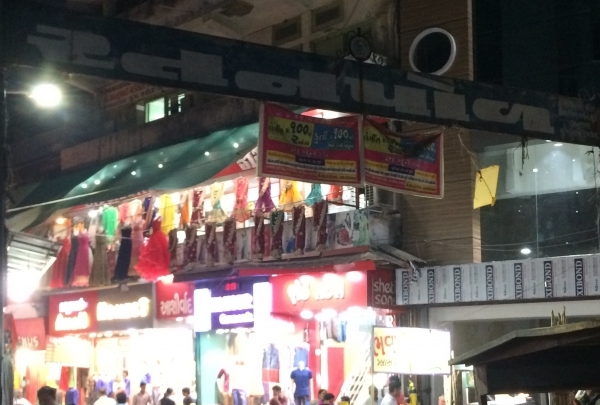 The shop has a great following and is said to have been patronized by the late Sardar Vallabbhai Patel, one of the country's founding fathers. Relish authentic Gujarati and Rajasthani specialties at this multi-cuisine restaurant. Located just off the highway, Marutinandan delights with regional preparations from Gujarati and Rajasthani cuisines. The restaurant has a beautiful lawn area, which makes for a perfect setting to savor the varied delights. There's a host of entertainment options for the kids too. The restaurant is popular and has a few more locations within the city as well. Lavish food choices inspired by the Manek Chowk of the old city. 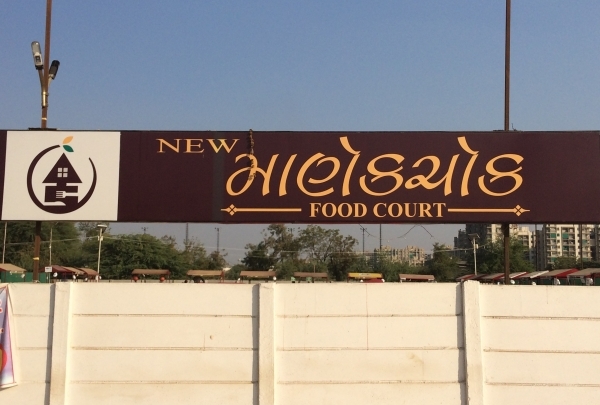 New Manek Chowk Food court is the perfect destination to relish local delicacies. 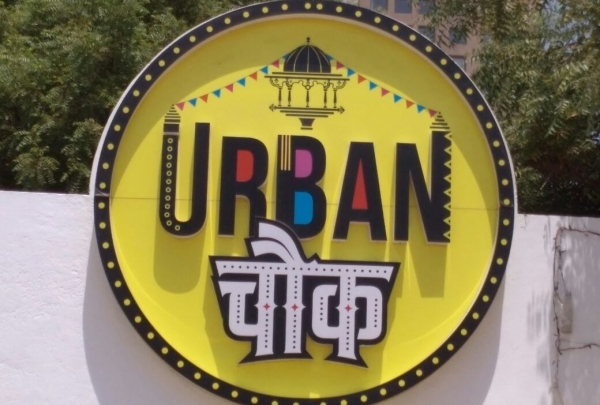 The food court offers a varied selection of cuisines including Punjabi, Gujarati, Rajasthani, Chinese, Mexican as well as fast food and local snacks. Despite being located a bit away from the city's bustling core, It has managed to garner the attention of foodies. One stop shopping arcade offering elegant homeware and more. This expansive store is one of the most famous shopping destinations among the locals. You'll find everything from beautiful handicrafts and homeware to kitchenware, home appliances and bed and bath linen. Located in the heart of the city, close to the famous Law Garden market, National Handloom is a must-visit for avid shoppers. 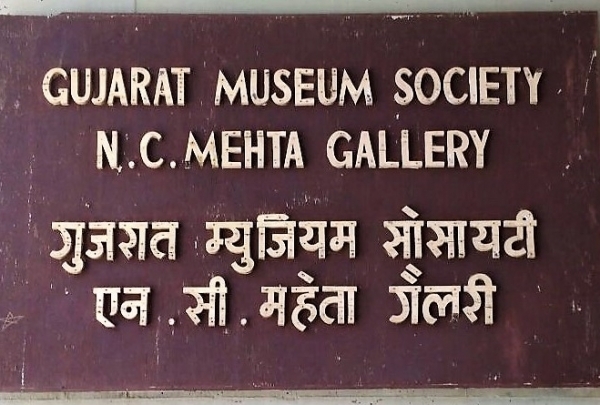 The Museum showcases tapestries, floor spreads, canopies, sarees, royal garments, tribal costumes and animal caparisons dating between 15th & 19th century. These textiles narrate tales of the Mughal and Provincial courts, religious practices and daily life as well as economics, history and foreign affairs. Developed in the 14th Century AD the Jhulta Minara is three story's tall with carved balconies. Shaking Minarets is the puzzle which isn't yet resolved by scientists as well and that's what makes it one of the attractions. It was built in the 14th Century and if you climb on either one of the Minarets, you can feel the vibration of the other one. The Minarets cannot be climbed now as the entry is restricted due to earthquake in 2001. One of the emerging Family destinations on the S G Highway belt, New Law Garden offers one stop destination for street side shopping, entertainment for kids & multi-cuisine dining options which enables to make your own choice of food. 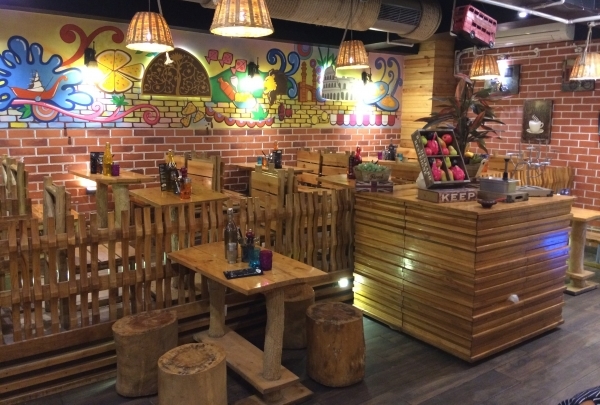 They have themed the outlets similar to bamboo huts which make it different from regular restaurants. 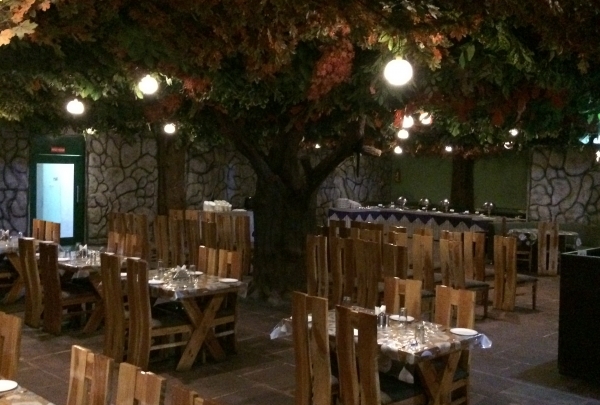 Rain Forest Restaurant offered multi cuisine, vegetarian food in a forest-themed setting. It is one of the attractions among the locals because of its unique theme concept. They also have a lush lawn for the kids to play around with artificial replicas of animals like Tiger, Panther etc. Banker converted Entrepreneur started the restaurant considering today's hectic lifestyle and work culture. It has interior with artistic taste. Restaurant innovative fast food Including Italian pastas, wood-fired pizzas, creamy burgers, steam-hot sandwiches, soft wraps and varieties of beverages. 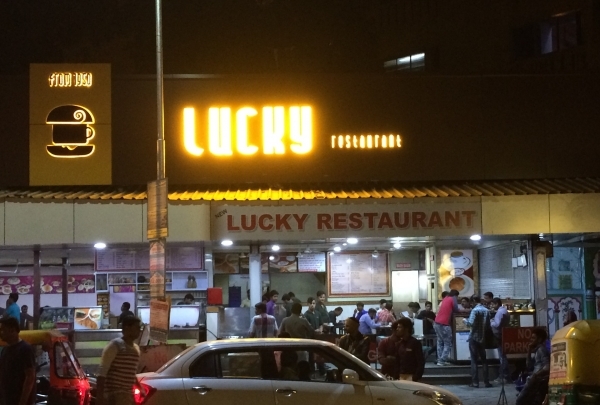 Lucky tea stall is on the list of Ripley's believe it or not. Also called as Graveyard tea stall, it serves tea, coffee, fresh juices with light snacks throughout the day. The outlet has been serving the locals since 1950. You can also see a painting gifted to them by famous artist, M F Hussain. 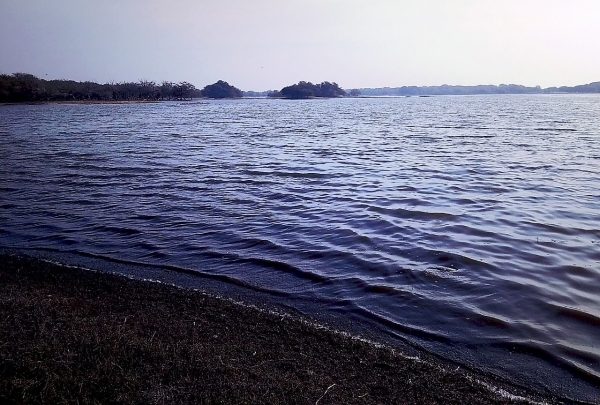 Thol Lake is fresh water reservoir providing Winter refuge to an array of birds from across the Earth. An entire day can be spent here and the ideal time period to visit the sanctuary is between February to November. Early Morning and Evenings are the best time to visit. Erected by Sultan Ahmed Shah in 14th Century, this is one the most beautiful mosques in the east. Jama Mosque is the city's principal mosque, where followers congregate in mass for Friday Afternoon Prayers. The mosque is spread over two acres & the construction of mosque took ten years. 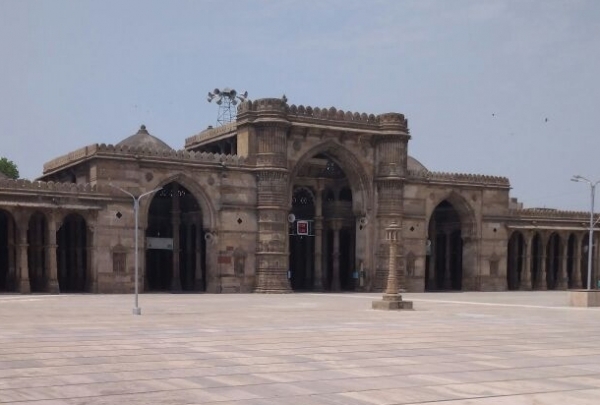 When completed in 1424 it was considered as the largest mosque in the country.